These instruments are designed to test the pressure and flow capability of a vacuum suction inlet. The tested has a two-position switch for measuring static (non-flowing) and dynamic (flowing) vacuum pressure. When switched to the “VAC” position, the gauge measures the non-flowing vacuum pressure directly. Typically, this will be between 18 and 24 inHg for most hospitals. 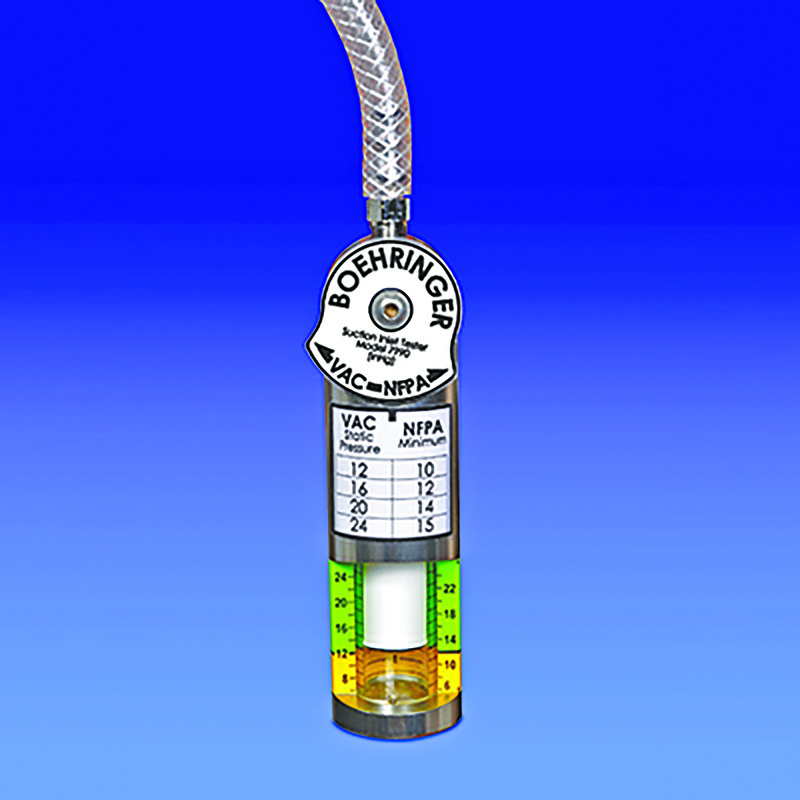 In the second position, “NFPA”, the gauge responds to the airflow and vacuum pressure collectively to provide a direct indication of the supply capability of the vacuum suction inlet. The inlet tester is calibrated at the factory. To maintain the factory calibration, the orifice on the instrument should be kept clean and free of debris. The instrument should be sent back to the factory for calibration every two years.